Somehow I managed to delete the original page I had with all of the information loaded prior to the event! What is perhaps more significant are the experiences people have had through participating or using the Diamond Recalibration process which was released on this significant day. So, in re-doing this page, I simply allow the comments of others to communicate the essence and gift in this process (scroll down for comments). Overwhelmingly, the experience was one of alignment and recalibration to a profound inner state of PEACE, LOVE and greater balance. How could we ask for more than this? If we can engage with each moment and create our future from this deep, still place within we can bring change to our world - we can BE the change. Through the diamond, we then serve as amplifiers of this essence and assist in restoring harmony to our internal and external environments. We become conduits for the cosmic forces and the Divine Love of the universe to flow through us. Special note : the recordings are embedded with the frequencies of this day, and will be profoundly useful in the coming weeks and months as we move through yet more portals and significant alignments. The recalibration will be a very useful tool throughout the rest of December and into 2013 as the energetic infuxes intensify. We can continue to recalibrate to ever higher and finer levels. This is therefore not just a process for now, but provides valuable support for our future journey as we move into a period of cosmic and personal Rebirth. "It was truly a beautiful and deep experience. Last Friday the 14th, when outside leaning up against one of my favorite trees, I suddenly "saw" in my 3rd eye, the color gold come down over me! While there have been challenging and heartbreaking, 'dark' events shared on the news I am able to handle the personal ones with a deeper sense of peace and surrender. The number 9 shows up frequently since the 12-12-12 recalibration, three in a row at one point. That number sometimes indicates completion, which is was I felt after going through the process. Many lifetimes have been healed and now we can move forward with our work as Diamond Souls with greater ease"
"Thanks for the amazing meditation, It took me to places I have never been and I felt things I have never felt before! C & I both loved it. We were half an hour late for work, but it was really worth it!" "That was really beautiful. I could really feel powerful energy and it appeared very golden. Today I feel like I could fly!" " Thank you. I went into a deep meditative state and had many visions. Interesting that I felt the need to do some cleaning this morning before participating, like I was clearing the way for the new"
"I am really enjoying the 12 12 12 meditation. I am feeling clear powerful and up beat. I particularly enjoyed the process of receiving and then giving or' just allowing the energies to be amplified out' to our own diamond and other diamonds: to the planet, the grid etc. I even found the meditation easy to visualise and more importantly could really feel it"
"I had amazing experiences with this. It was awesome. Thank you"
"Thank you for a truly beautiful experience. Each time I do this meditation, I just feel more peaceful, settled, content"
"There is a sense of calmness, and those of us who have experienced giving birth have likened it to that moment after all the exhausting labour, when the head is engaged and everything is lining up,it all goes quiet and there is a time to pause and get your breath back, before the final big push. And then the euphoria of birthing a new life. And then as you say so much to learn and experience. Thank you so much for all the research and effort you put into keeping us all so well informed and prepared". "Love you - I fell asleep to the meditation last night. Keep shining!" "Thanks so much for the beautiful meditation today. The power and energy was amazing!" "Peace is the perfect word to describe the experience from your wonderful meditation...I love it and am about listen to the mp3 again. Thanks for sharing about the experience of goldeness..I too had a beautiful experience of flying along the grids with the most beautiful gold feathered wings"
Both the teleseminar as well as an edited, music enhanced meditation are available both online and for download. The Teleseminar is now available with online access as well as a downloadable, edited mp3 of the meditation itself. 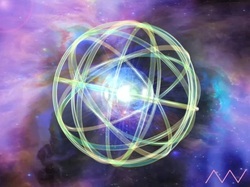 You will also receive two Diamond Light Codes to support the process of recalibration. This gentle meditation will take you into a place of deep peace within, creating within you a core that will support you in flowing with the intensifyig energies of the shift. The recording of this gentle Recalibration process is now available for immediate download. This essence was created in the week prior to 12-12-12 as the result of a deep 'nudge' from Spirit to do so. I provide some information in the webcast introduction as it is a necessary additional support for this time. This essence helps to ground and hold the recalibrated energies. It enables your physical body to adjust to the ever increasing frequencies, providing you with a stable foundation for moving forward. Whenever we move to a higher frequency state it is vitally important for the physical body to adjust accordingly. 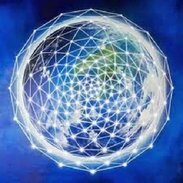 While the diamond enables us to harness the incoming Higher frequencies. the Copper Vibrational Essence acts in partnership to support our body in embedding these frequencies. It facilitates inter- and intra-cellular communication providing a clear transfer of new incoming information to our DNA.